VICIVISION UK is the leading supplier of optical, non-contact, turned-part measurement machines and quality control systems across the UK and Ireland. Whether they make screws, shafts, valves, threaded inserts, turbines or micro-mechanical components, more and more companies are choosing to invest in automated inspection solutions for their cylindrical parts. Speed and efficiency: optical measurement works by gathering data through video camera technology, performing automated analysis through a combination of advanced hardware and intuitive software. By using superior high-resolution technology to carry out a number of checks on a single set-up, there is no need for multiple specific instruments such as co-ordinate measuring machines or handheld gauges. Even the most complex parts can be inspected in a matter of seconds, down the last minute detail. Accuracy and repeatability: fast, non-contact, non-destructive measurement on an all-in-one system can be done at the touch of a button and without human error by avoiding operator intervention during the process. The use of high-resolution images to measure intricate features offers increased accuracy in data collection, allowing manufacturers to achieve unerringly good performance even when product tolerances are ultra tight. 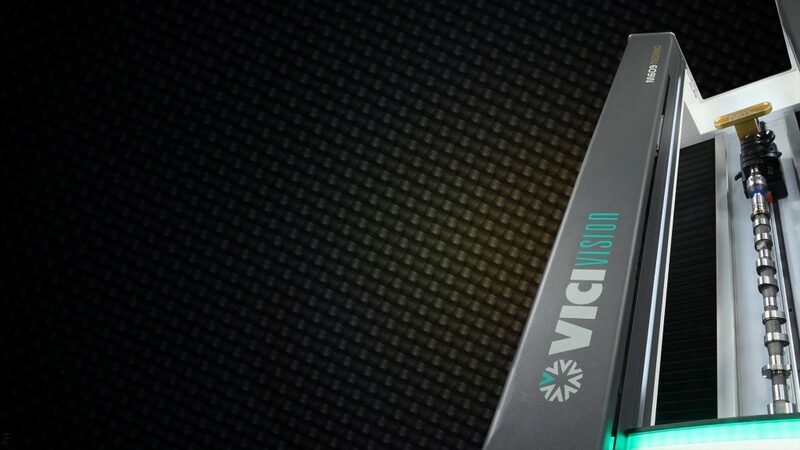 Smarter processes, less scrap, cash savings: far from being limited to the quality control room, VICIVISION ergonomic shaft measurement systems are designed specifically to withstand the rigours of the shop-floor environment. Making immediate data capture available next to multiple machining centres, to more than one technician, eliminates bottlenecks and leads to a reduction in down time as there is no need to leave production. No transportation of parts, increased flexibility, slashed rejection rates and minimal rework means an impressive price-performance ratio. Enables business growth: by facilitating efficient, micron-precise and reliable measuring processes, VICIVISION machines give manufacturers total peace of mind when it comes to the repeatable supply of quality products. With increased product throughput comes increased capacity, allowing businesses to take on more work with the confidence that they can meet demand. Application-specific: across industries like aerospace, automotive and medical, optical measurement solutions offer the precision required in the manufacturing of critical components where form, function and safety cannot be compromised. Fuel pipes, impellers, vanes, camshafts, silencers, dental implants and trauma screws – whatever the turned component, VICIVISION provides optimal results each time, every time.